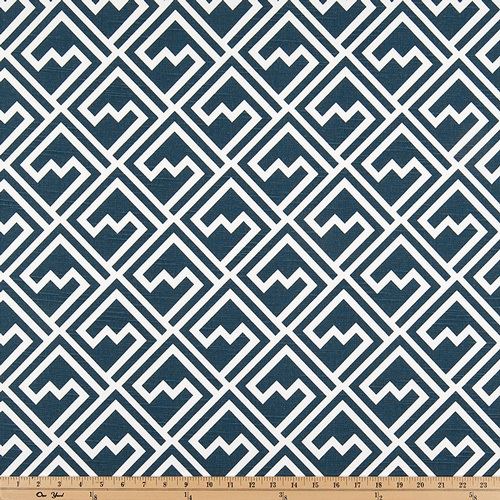 Navy blue and white geometric design printed home decorating fabric. Suitable for drapery, decorative pillow covers, headboards, crafting or light upholstery. Love Bus Premier Navy 45"